Holy 50th Birthday Batman ’66! The Batman ’66 TV series premiered 50 years ago today! Rest in peace, John Stephenson. General Hawk, General Franks, Dr. Benton Quest, Doggy Daddy, Mr. Slate– these are all characters that were brought to life by the incredibly talented John Stephenson. The voice actor passed away on Friday May 15, 2015 at the age of 91. His career spanned an impressive 57 years in the entertainment industry with his first credited role listed in 1953 and his last in 2010. Before his move to voice acting he was a prolific character actor in the early days of television with appearances on notable series such as The Lone Ranger, F Troop, The Beverly Hillbillies, Get Smart, Perry Mason, and even Hogan’s Heroes. He was also the voice that announced the verdicts at the end of episodes of the popular series Dragnet. Later, he moved to voice acting and was possibly the most-used talent at Hanna-Barbera Studios providing voices for Fred Flintstone’s boss Mr. Slate, Doggy Daddy, and was the original voice for Dr. Benton Quest on Jonny Quest before the role was assumed by the late Don Messick. His IMDB page lists over 230 acting credits. Eventually John Stephenson went to work on many of the Sunbow animated series that fans of JBL are familiar with– providing the voices for such characters as General Hawk (substitute in “The Spy Who Rooked Me”), General Franks, General Flagg, Dr. Lucifer, Granak, Kup, Thundercracker, and Huffer for G.I. Joe: A Real American Hero, Inhumanoids, and The Transformers. In his final years he was diagnosed with Alzheimer’s and had been living in a retirement home. Rest in peace, John. Thank you for all the hours of entertainment you’ve given us. Your talents will be missed. Well, consider the unfortunate news confirmed. I spoke with Public Relations at The Hub, and they have confirmed that G.I. Joe: Renegades will cease airing original episodes after the summer. They have declared the series “On Hiatus” in anticipation of the upcoming film sequel. This sounds remarkably similar to the situation with Transformers: Animated after the third season, as it was phased out in favor for a style closer to the live action Transformers films. Considering how much stronger fan support Renegades seem to generate, especially when compared to the Rise of Cobra film, this is a disappointing turn of events, to say the least. Let’s all hope that the next live action film franchise is closer to the spirit of A Real American Hero than the previous film was, so the animation doesn’t potentially suffer for it. The entire text of the communication from The Hub is below. You can read the rest of the news, including a quote from Hub’s PR department over at GeneralsJoes.com. It would seem that the creative direction of the G.I. Joe franchise is once again at the mercy of Paramount Pictures. G.I.Joe Renegades Character Bio’s Revealed! Discovery Channel has released more info on G.I.Joe Renegades with character bio’s and more. Go on over here to check it out! WARNING: Text contains potential spoilers about the series. G.I. Joe: Renegades debuts on October 10, 2010 on the Hub Network. G.I. Joe Renegades promo image posted! HUB TV has released a promo cell and short description of the upcoming ‘Renegades’ cartoon! Click HERE to join in the discussion and weigh in with your thoughts on the ‘new edition’ of G.I. Joe animation! TNI has posted more images from SDCC of the new G.I.Joe cartoon Renegades. There are some interesting design concepts with some very familiar characters and new vehicles. Go over to TNI to check them out and then come back to discuss it in our forums here. Another 80’s classic is coming to television soon! I know, its not *exactly* G.I. 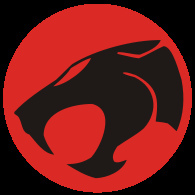 Joe…..but its the THUNDERCATS!! CLICK HERE to read the article and weigh in with your thoughts. Q & A Round 3 2010 Answers! Hasbro returned their answers to your questions from Round 3 of the bi-monthly GIJoe Q&A. 1) In the past we the fans have been able to utilize the Q & A as a way to express to the Joe design team what characters we would like for them to bring back to figure form, What is the best way for us to get that message out to them now? 2) Is the POC line (or a new theme line) going to continue alongside the Cartoon line until the Joe Movie II line starts? A-2) The Pursuit of Cobra line will end when the G.I. Joe Renegades line hits stores. Unfortunately it is still too early to discuss a line in support of any possible movie sequel. 3) Can tell us anything more about this new cartoon, like are they going to stick to the core of the original characters or are we going to see more gender and race swapping. Are you going to keep dynamics like Flint & Lady Jaye? A-3) G.I. Joe Renegades can be viewed as an origins story for the 1980’s G.I. Joe vs. Cobra saga. In this way, the core essence and spirit of the brand and key characters will be clearly recognizable in the show to fans of the 1980’s. But as with most “re-imaginings” there may be some differences versus the 80’s. Discuss these answers in the forums! Operation HISS; the new CGI animated web series (and follow-up from the feature film), has launched. You can watch it here!